Umbrella Cockatoo Personality, Food & Care – Pet Birds by Lafeber Co. The umbrella cockatoo certainly makes a charming, affectionate pet, but it’s not for everyone. An umbrella cockatoo demands attention and needs an owner who can set boundaries. The umbrella cockatoo is a long-term commitment for an owner — this species can live up to 70 years with proper care and attention. Unfortunately, many of these sensitive birds don’t live that long. They are prone to self-mutilation and the infections that result from that abnormal behavior. Because this bird is large and hates being confined to the point of chewing and picking out its feathers, it requires a large space to live in, preferably an enormous, well-build cage with a top that opens into a playstand. An umbrella can’t live happily in a small space, and will become weary and apathetic or agitated and aggressive if confined. The umbrella cockatoo owner should have experience with parrots before taking on this feathered handful. This is not a good first bird, nor is a good child’s pet. The umbrella also tends to become spoiled very easily, and will not take well to changes in routine, or additions to the family, such as an infant or new puppy. Another serious consideration for a new owner is the powder dust that these cockatoos emit, which can irritate those owners with sensitive respiratory systems or allergies. Use air purifiers if you have room for them, as these items help to cut down on the dust. Regular bathing with clear, warm water will also help. The umbrella cockatoo certainly makes a charming, affectionate pet, but it’s not for everyone. This bird can be as fickle as the weather, playing one minute and screaming and nipping the next. Birds will be birds, with all of their quirks and caprices, and umbrellas are no exception, though the informed umbrella owner is fortunate to live with this extraordinary bird that was named after something ordinary — and indispensable. The umbrella desires nothing more than to cuddle with the object of its desire, and can become overly attached to other birds or objects in the pet shop, leading to serious disappointment when these birds or objects are sold — these birds are extremely sentimental! In the wild, the umbrella is never without a companion, and the captive umbrella has the same instinctual patterning to bond to a mate, or at least to have a special friend. The best way to make an umbrella cockatoo unhappy is to keep it in isolation. The noise level of this bird is extremely high. It is prone to bouts of loud screaming, especially if it is isolated, locked in a cage, or doesn’t get its way. Screaming is often a measure of the bird’s displeasure — the louder the more significant the disapproval of its circumstances. Many cockatoos are re-homed because of their superior voices. On the up side, the umbrella can be taught to talk and may acquire a vocabulary of more than 50 words, though most will not learn that many. Often, a bird that learns to talk may substitute screaming for talking — but not all of the time. Umbrella cockatoos are prone to picking at or pulling out their feathers is not offered sufficient mental stimulation. Other diseases/conditions found in cockatoos include psittacine beak and feather disease (PBFD), fatty liver disease and obesity if fed a diet too high in fat. Umbrella cockatoos are available from avian-only retail stores, from bird breeders and are also available for adoption from avian rescue organizations. 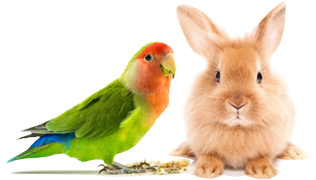 This is a bird for an experienced bird owner who can meet the bird’s housing and emotional needs. Ideally, a new cockatoo owner should work with an experienced cockatoo breeder and/or avian behaviorist early on to set a cockatoo up for success as a companion pet.